We are remarkable entity in this domain, engaged in manufacturing and supplying a wide array of Royal Enfield Close Nut And Stud to our valued clients. - Widely installed in bikes for its excellent performance. 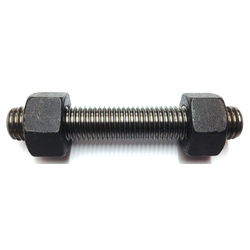 High tensile fasteners- b-7 studs with 2 h nut, & eye bolt: we manufacture high tensile fasteners and specialized in b-7 studs, eye bolts. 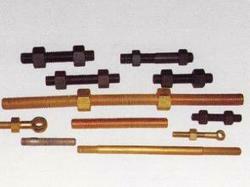 These items are used in refinery and pipe line industry. products are manufactured with material in alloy steel with different grades . Heat treatment process is available in plant. In house facilities for testing are available.